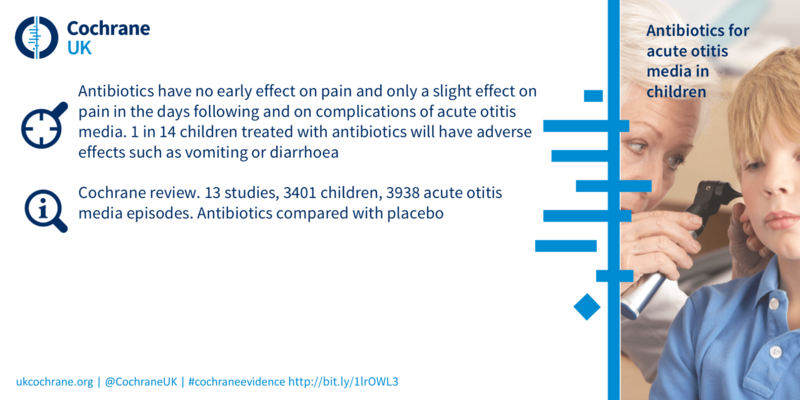 In 2017, Professor Dame Sally Davies, England’s Chief Medical Officer, warned that the world could face a “post-antibiotic apocalypse.” She urged that, unless action is taken to halt the practices that have allowed antibiotic resistance to spread and ways are found to develop new types of antibiotics, we could return to the days when simple wounds, infections or routine operations, are life-threatening. 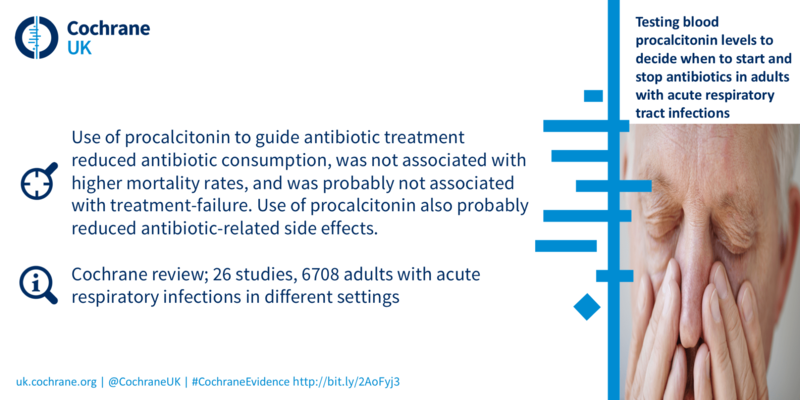 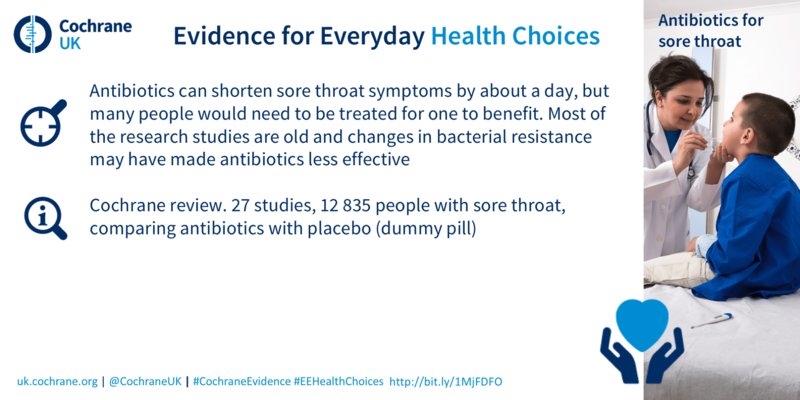 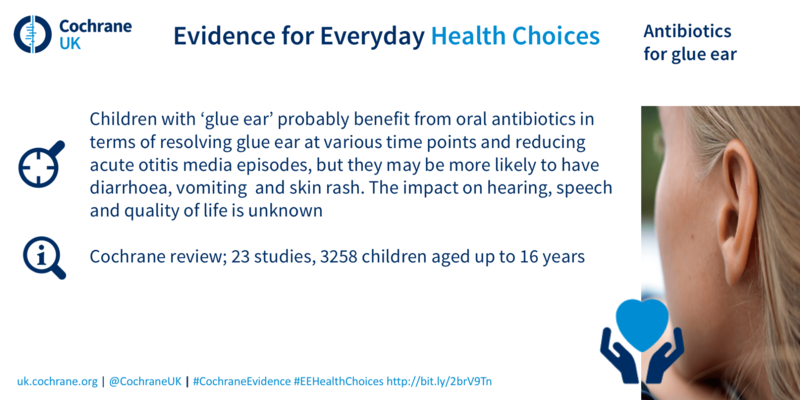 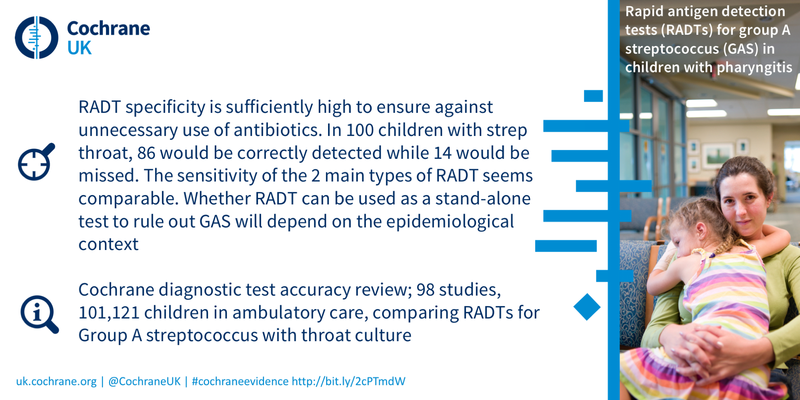 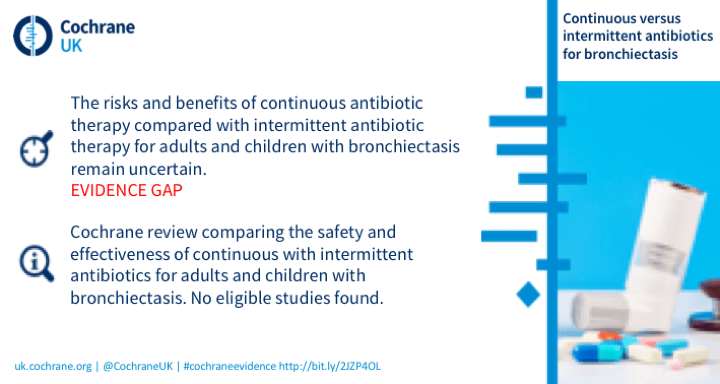 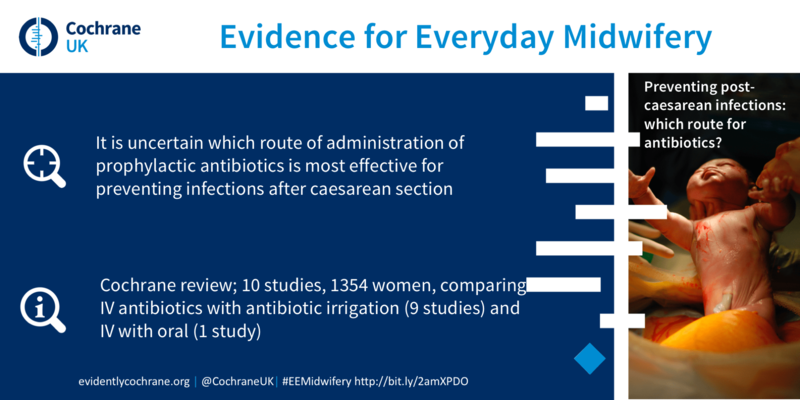 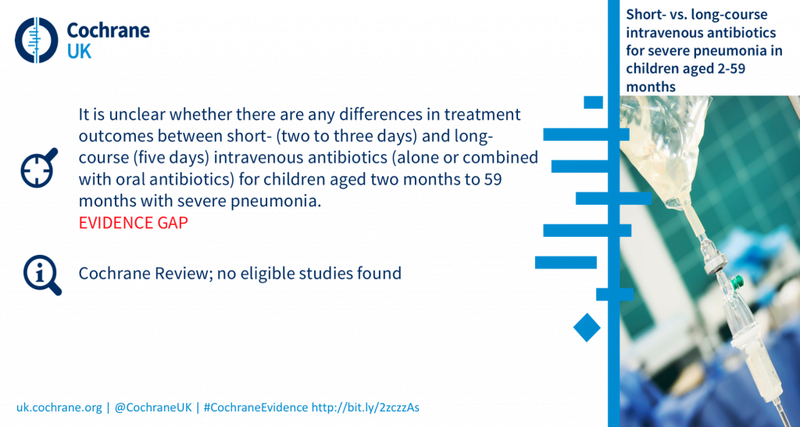 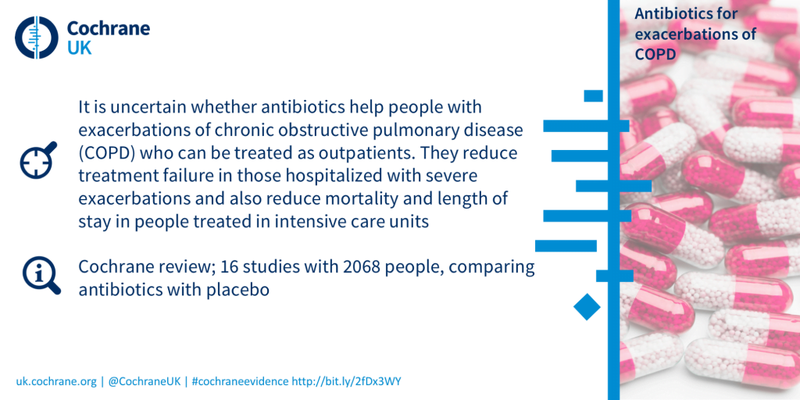 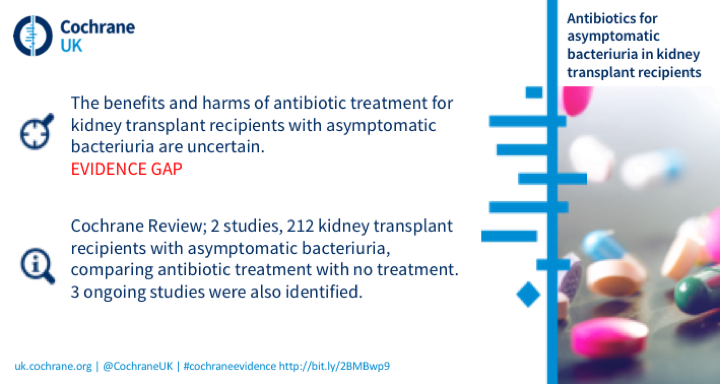 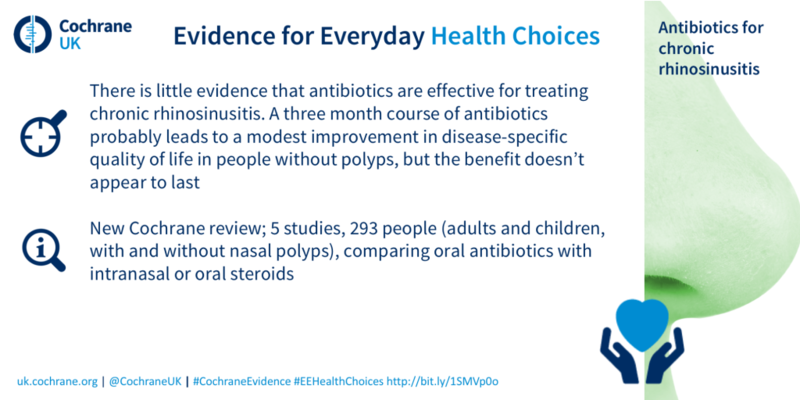 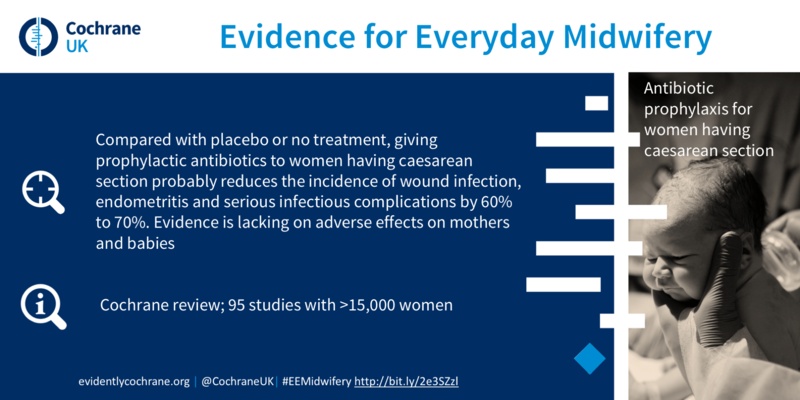 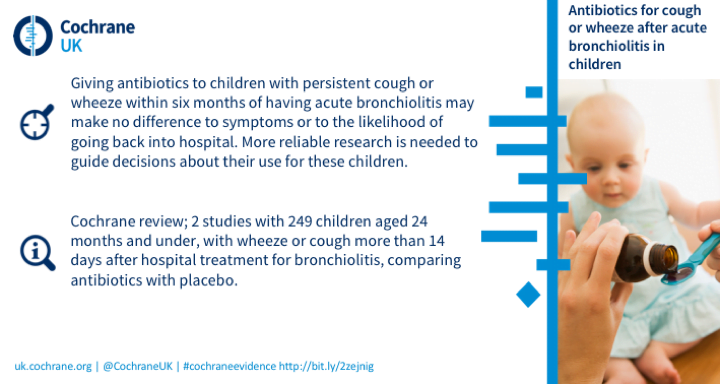 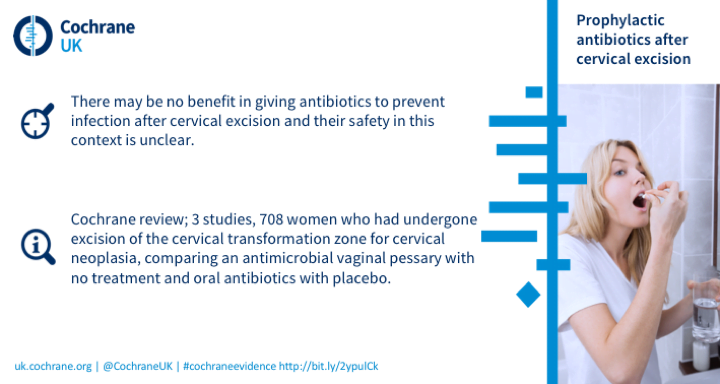 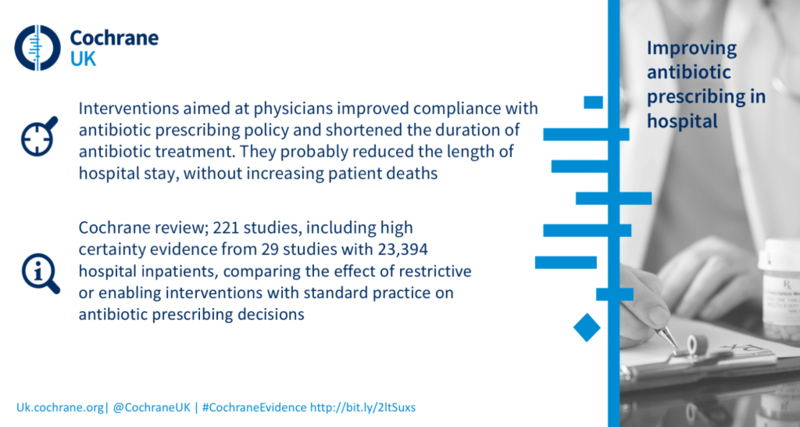 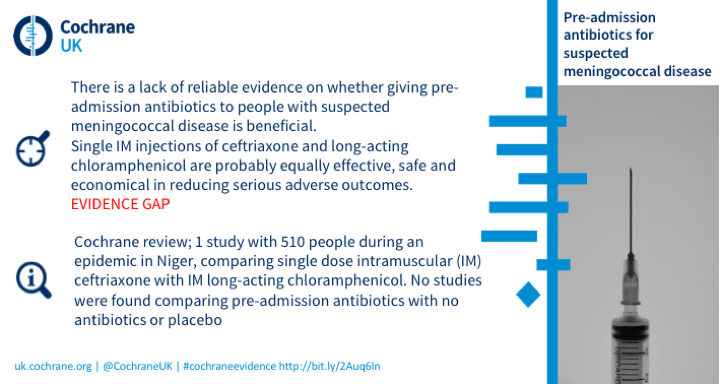 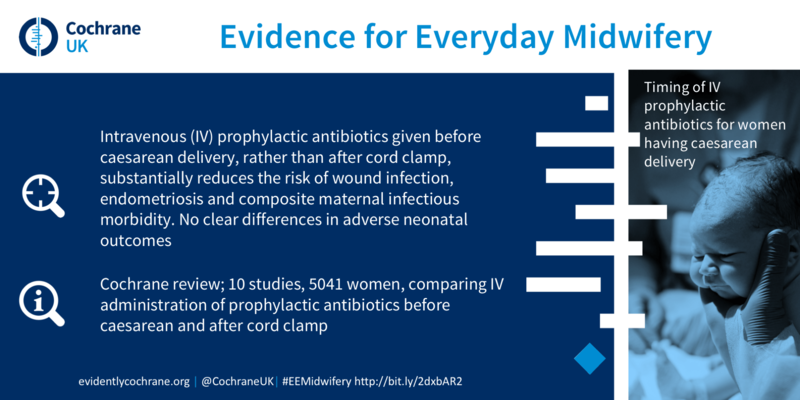 To mark World Antibiotic Awareness Week, 12th-18th November 2018, we are highlighting Cochrane evidence which supports decision-making in the appropriate use of antibiotics. 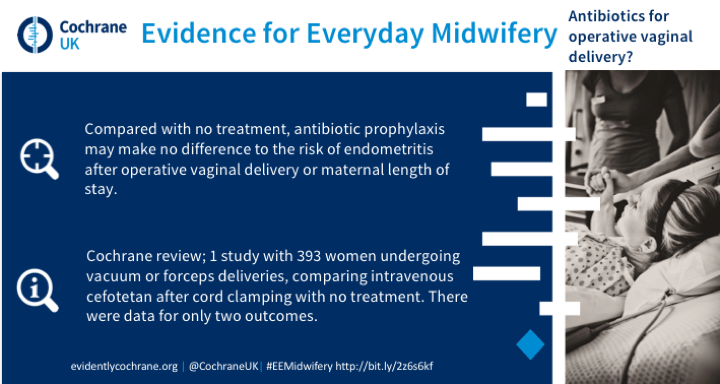 Below is a round up of blogs and infographics (blogshots and vlogshots). 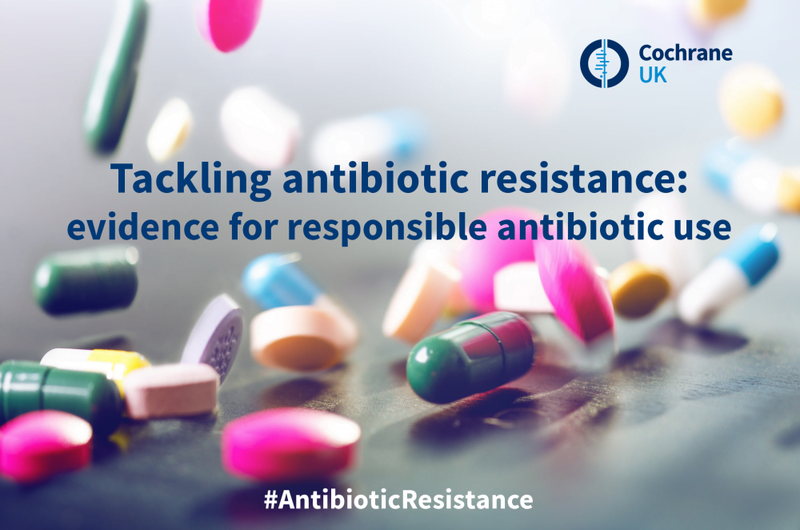 Blog post: Antibiotic resistance – bacteria fighting back by Samantha Gale, Cochrane UK’s Public Health Fellow. 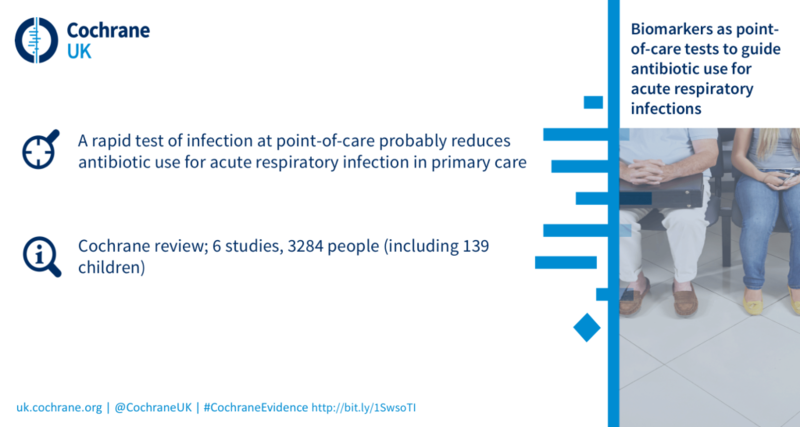 Blog post: Apocalypse now – antimicrobial resistance by Lynda Ware, Cochrane UK’s Senior Fellow in General Practice. 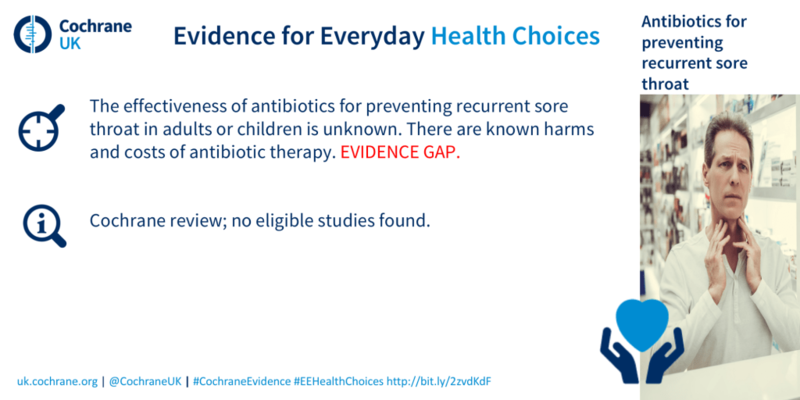 Blog post: Why should I care about antibiotic resistance? 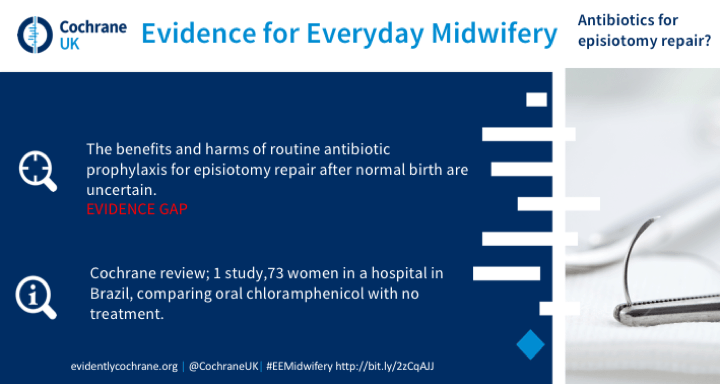 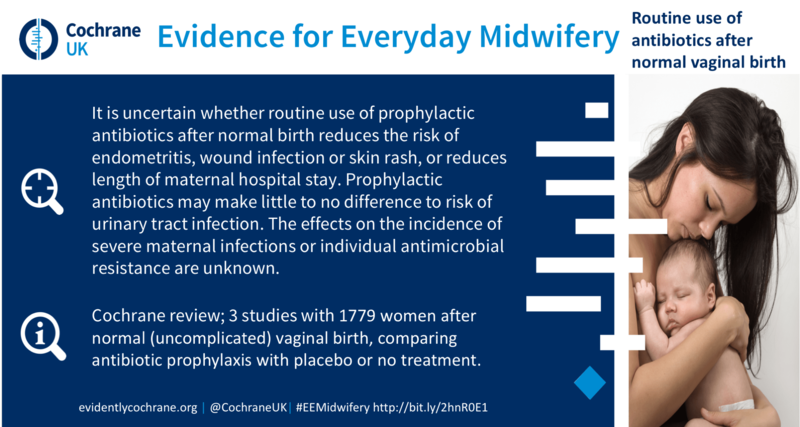 by the Cochrane Trainees. 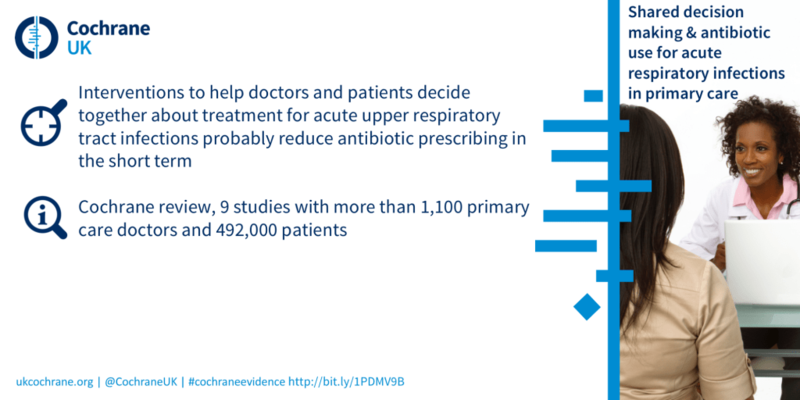 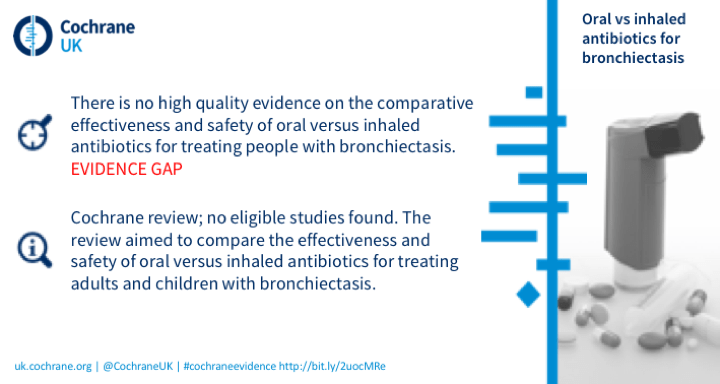 Shared decision making and antibiotic use for acute respiratory infections in primary care (Press release; also available in Spanish). 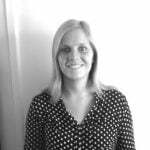 Editor’s note: page last updated 15th October 2018. 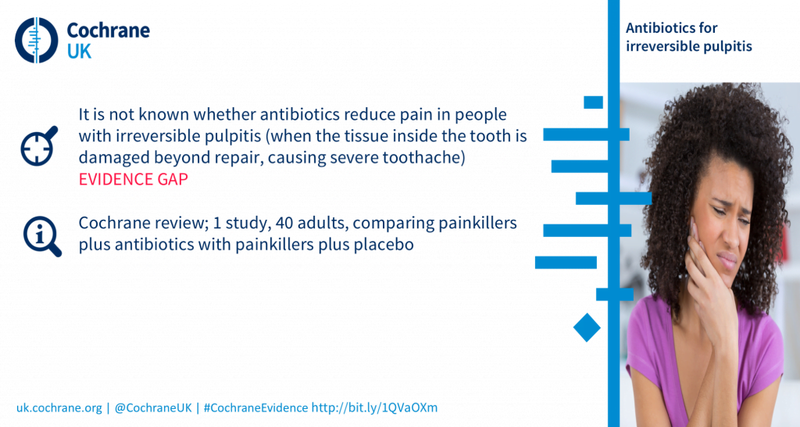 It’s quite frightening in a way how little we actually do know about such a ubiquitous treatment.